In the music department we start preparing for Christmas in September so in many ways it is a relief when the Christmas concert arrives! This year I was taking the Junior Choir. I had 30 wonderful pupils aged 11 to 14 who came to rehearsals every week without fail. I had chosen two songs to perform at our Christmas concert and we worked for many weeks. The pupils were very excited about our concert and they were all looking forward to it. 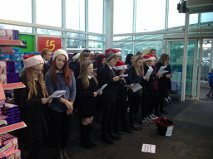 I knew the pupils would get something from being in the choir and performing in the Christmas concert. 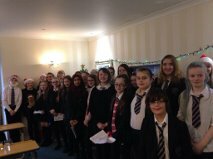 I also organised that during our last week of school the junior choir would visit two care homes to sing Christmas carols. 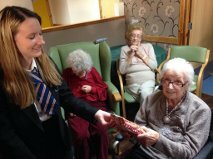 Some of the residents were quite sick and frail, the pupils had bought small presents for the residents. The residents were very touched by the presents and some were very emotional, that children who did not know them had brought them a gift. However, I have a senior student in my music class, who I will call John. He moved to the UK two years ago and did not speak any English. Through that time he has managed to learn English and learn about British culture. He lives with his mother but his father lives in a different country. He has found the last two years extremely difficult, he could not speak English at the start so it was difficult to make friends, culturally he did not fit in and in many ways he is different from other students his age. He loves music! He is in the music department before school, break time, lunchtime and any free periods. He loves listening to music, composing and performing music. As we approached the concert John was not in a group that was due to perform but just a few days before the concert the principal of music asked John to be involved with the backstage team and he was given the role of operating the curtain. He was delighted, he was desperate to be needed and feel involved. Over the next few days I watched as he worked and prepared with the backstage team who were all boys and close in age to him. In the short space of time he started to make some connections and even friends with these boys. On the day of the concert the backstage team were ordering Dominos pizzas. I could hear John laughing with the other boys and it was priceless. He had found some boys who had similar tastes and interests and just maybe he was now on a slightly easier road. On the evening of the concert I arrived at school and bumped in to him. I was blown away. He scrubbed up so well! Being a typical boy he didn’t seem to wash his hair very often, but that night he was showered, hair brushed and put up in a ponytail as he has long hair. He had black professional clothes to wear. He looked the part! During the concert I was so proud as everything he had to do was done to perfection, all his cues he executed superbly. 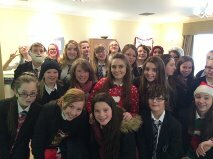 The whole concert went really well, the pupils had a wonderful night. All the hard work was worth it just for John to be involved, all the work was worth it that he had the opportunity to feel needed, given the chance to be a part of something and start to make some friends. 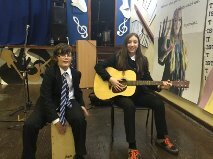 Secondary school can be very hard especially if you are a little bit different, but even if you have just a couple of friends it is a whole lot easier. The term has finished and John is working towards his qualification in higher music, it has been touch and go whether he will be presented but at this moment in time it is full steam ahead! I want all the pupils in my higher class to do well and gain high grades, but my biggest achievement will be if I can ensure that John achieves his higher music. For him it will show him he is worth something, I know he is bright and he can achieve. This entry was posted in Academic Achievement, Community Partnerships, Expressing the Artist in You, Karen Partyka, Personal Confidence, Service Learning by Paul Crouch. Bookmark the permalink.